As they say, “Men buy, Women Shop”. May be that is the reason why it is not so easy for brides to do shopping for there trousseau. Keeping aside the sayings, I am sure many of you have those clothes in your wardrobe which you just bought in impulse and now don’t know when to wear it or even wonder “Did I really buy it for myself.” It applies to a wedding trousseau as well. It happened to me at least; I don’t know why I bought so many Sarees even when I knew at back of my head that I wont be wearing them that often (or I should say ever). Okay, but why am I saying all this; because today we are introducing Mehak from Brides by P & B. She also runs her blog on make up and beauty at Peaches and Blush. Don’t forget to read her Bridal diaries at her blog if you are a bride to be, it has lots of useful information in not just the posts but comments as well! Brides by P & B which is totally for people like me and many of us to get that advise on what to shop and what not, from where to shop, how much to spend on what, what is in and what suits you rather then just buying that dress which lies in your almirah forever. I have been to your blog for quite some time now and got to know about Bride by P & B. So what exactly is Brides by P & B all about and how does it really help the brides ? Brides by P&B is a personal shopping and trousseau planning service . 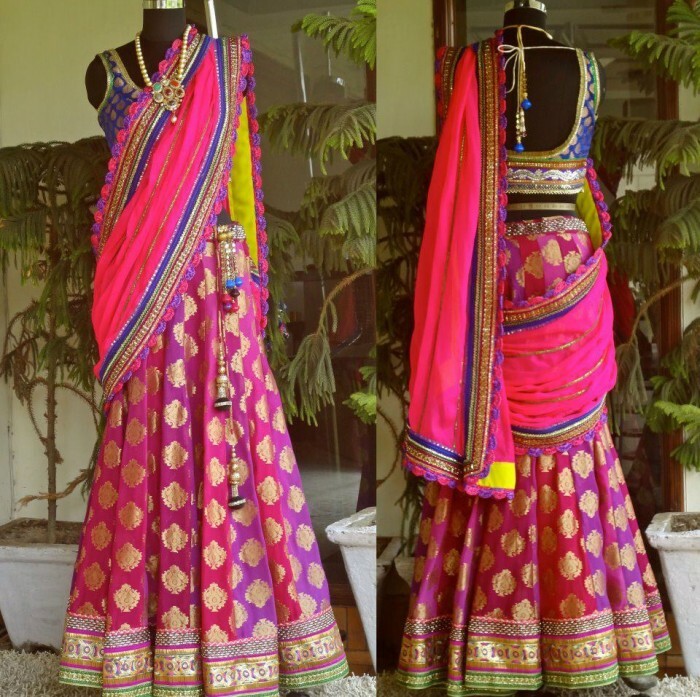 We offer a range of services to Brides and to others who simply want to buy Indian wear from Delhi. NRI Brides who come to Delhi to shop- we accompany them on their shopping trip -taking them to great Indian boutiques and shops which fit their budget and style, This ensure they don’t waste time and effort in searching for their elusive lehenga and also get a fair price charged by shopkeepers who tend to over charge non locals! Brides who cannot make it to India- we have outsourced shopping packages for them, wherein we can shop on their behalf from here. We can get something custom made from scratch or pick up an existing piece from a store in Delhi and ship it to them. Apart from the above, we also offer trousseau planning services, wherein we chalk out every minute detail of your and your families trousseau and arm you with all the information you need to get a collection of outfits! Oh, that sounds like a stress reliver as shoppping is very an important and never ending phase when we talk about Indian Weddings. How did this idea bridal shopping happened to you ? It was a natural transition from my own blog. I blogged extensively about my own weddings and got a lot of feedback from people asking for help. It is then I realised how difficult it is to for people who don’t live in India, because they don’t have the luxury of 2-3 months to search at leisure for their outfits like we in India do. So they needed a solution which can give them maximum benefit within the 2-3 days that they are in India for . 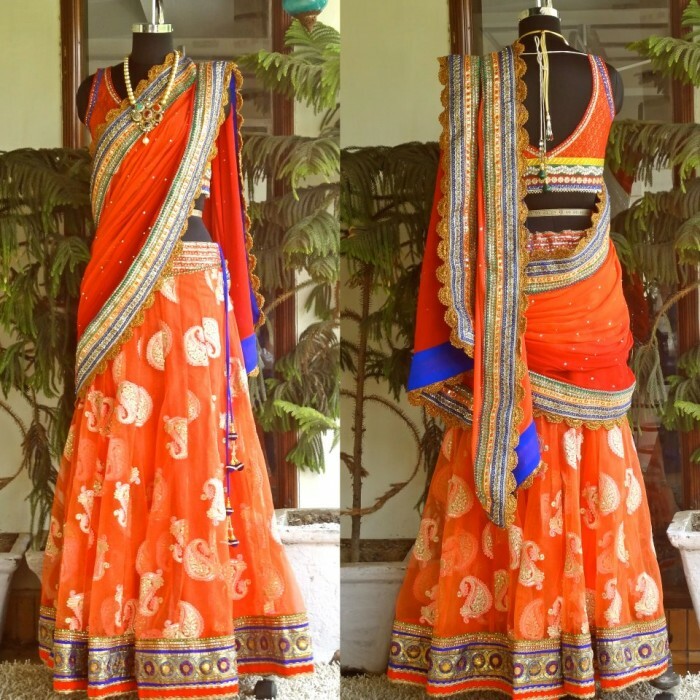 Or they need a trustworthy liaison through which they can order customised outfits from in India, because Indian outfits abroad are extremely expensive and overpriced. That is where we come in! As you help would be brides for there shopping and sometimes it might have been remotely as you are dealing with NRIs as well, how do you understand taste, style of the bride. I am sure there taste must be varying from bling to subtle. We have an extensive style profiling process. We first send you a list of questions, about budgets, colors, tastes, cultures, favourite designers, styles etc. This is then followed by a set of 15-20 pictures in which we ask our clients to leave a comment about each of them. We have a fair idea then about their style based on their comments. We also encourage brides to send us photos of outfits they have liked online, or photos of outfits they have worn previously so we know exactly what kind of a taste in clothing they have. Thas a quite a lot of engagement with the customers. Is this the process you follow for your services like consultation and bridal shopping or there is more to it to be precise. 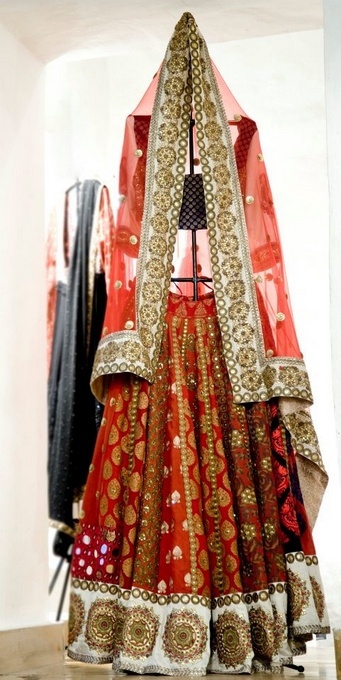 Since most lehengas take around 2-3 weeks to make, we even pick up their lehengas and ship it to them in case the client has left India by then. What if even after so much of research and communication, if the bride or client don’t like what they get. In that case is there any refund or exchange policy. As of now we don’t have a refund or exchange policy since we ourselves don’t make the outfit. However, the fee Brides by P&B charges is completely refundable, but the refund of the outfit cost depends on where the outfit is ordered from. Some stores exchange, some don’t. However since we keep the client updated with pictures and keep them in the loop in the whole planning process, there are really no instances of disappointment. We always send a picture of the outfit before shipping it, so in case the clients wants some additions, further customization that can be done. But in an era when online shopping is everywhere even for bride and groom attires, real and fake jewellery etc., how different is it to use your services. My services are completely different from on-line shopping. For one, it is completely customisable. We can custom make any outfit for you from scratch based on ideas, photographs or anything else so we don’t have a set number of items to choose from. Secondly, with on-line shopping sites there is always a risk of the item not looking like what it looked like on-line. But with me, i click photos real time in a store and not in a studio environment, so you can see every detail up close from a regular camera- not touched up or on a model. Thirdly, clients have a direct person to touch base with – i.e. me , so that gives them some piece of mind. What do you advise a client in trousseau planning. e.g., if there is a mix culture wedding, which I am sure is most of the times, how do you make sure she has the right mix of trousseau. We always try and ensure that the Brides preferences as well as cultural choices of both the bride and grooms family are kept in mind. In fact, a lot of brides who come to us may be North Indians marrying South Indians and vice versa and each of them do not know what is really appropriate for the other family. Since we work with brides of all cultures, we have a fair understanding of what may or may not be appropriate and we definitely try and strike a balance between the two families, though ultimately it comes down to the Brides choices herself. Our team is also quite diverse, so we have people who understand different cultures quite well! Thanks you so much Mehak for this and I am sure the brides out there will heave a sigh of relief after knowing about your personalized services right away from INDIA. We know that Shopping for Indian Weddings are not just about the Wedding Lehenga and Cocktail Dresses, it is about Groom’s Sherwani and Suit, gifts to your families (sometimes even extended families; yeah it happens in India); Mehak helps with every aspect of shopping for Indian Wear. As an industry insider, I can assure that you get better deal when you go through a personal shopper for shopping trousseau or jewellery; add to it the expert advise, consultation and guidance. Its really worth hiring one and get peace of mind after all you are the bride who should just vision for her D day and leave the rest to experts. And on ending note, Stay tuned and keep an eye for the new posts (hint – you might want to subscribe 🙂 ) as we are roping in experts from photography, makeup, wedding bloggers and many more for that hands on exclusive information which brides are always looking for.